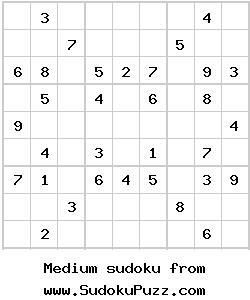 Just click your desired sudoku difficulty below and your printable sudoku will open in a new windows. Then just choose print and your printable sudoku is on its way. Afterwards you can go and test your talent at an Online Casino that has it all.